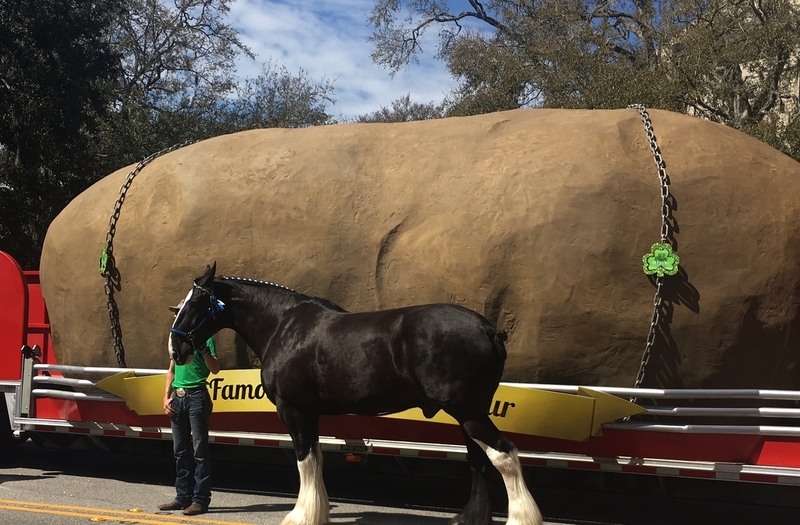 What’s more Irish than a 6-ton potato? Click the Link to watch our FB Live with Anita! On Saturday, we had an event at the Hilton Head Island Kroger supermarket. It was a beautiful day on the Island and we were excited to escape the Idaho cold! We met people from all over the country who were visiting the Island. Special fan, Phil Strout, visited the truck and brought his Pontiac Firebird Trans AM, the same car from the hit movie Smokey and the Bandit! Tater Twin, Kaylee, was even able to sit in the driver seat and pose with the car. We also had a signature board at the event for the Muscular Dystrophy Association. Kroger markets across America partner with MDA and have raised over 30 million over the years. It felt great to bring the community together, and there was a great turn out at the market! 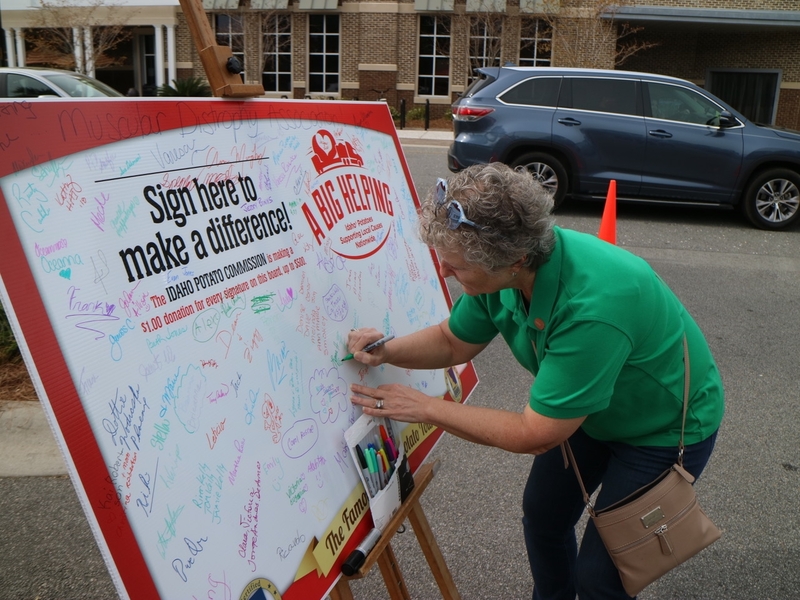 Parade Committee Member, Lynn, signing our signature board for the Muscular Dystrophy Association. 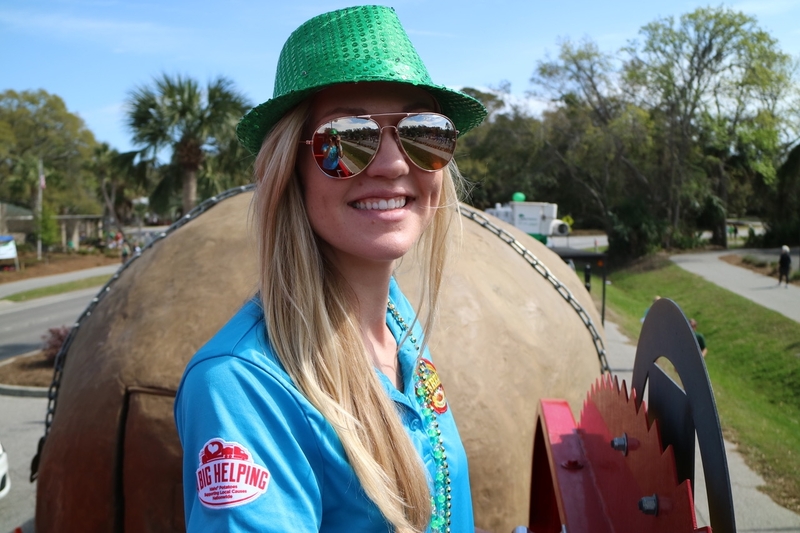 The Hilton Head St. Patrick’s Day Committee was fantastic and they even invited the team to pre and post parade events! On Saturday night the Boston Police department Pipe Band played at a local Restaurant Riley’s. They even presented the restaurant owner, Tom Riley, with a drum head! Tom Riley, originally founded the St. Patrick’s Day parade 35 years ago. This parade has grown over the years and we were able to see just how big it has expanded! At the parade there were 30,000-40,000 people lining the streets dressed in green! 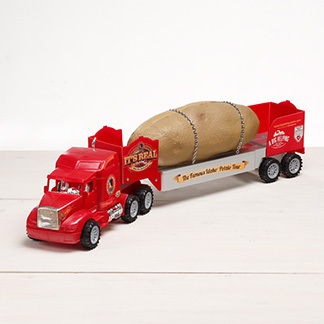 There was a wide range of floats and automobiles in the parade, including the Oscar Mayer Wiener mobile, Express Clydesdales, and floats from local organizations. 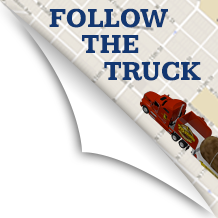 It was a sea of green fans as the truck drove through the parade and excited spec-taters cheered, and clapped as we passed! After the parade, the team was invited to celebrate a successful parade with the committee members at Riley’s Restaurant. We had a fantastic time at the well-run parade, and we felt honored to be included in meetings, and celebrations with the committee. Hilton Head Island was the perfect location to have our first out-of- state events of the 2018 Tour! Kaylee gearing up for the parade! 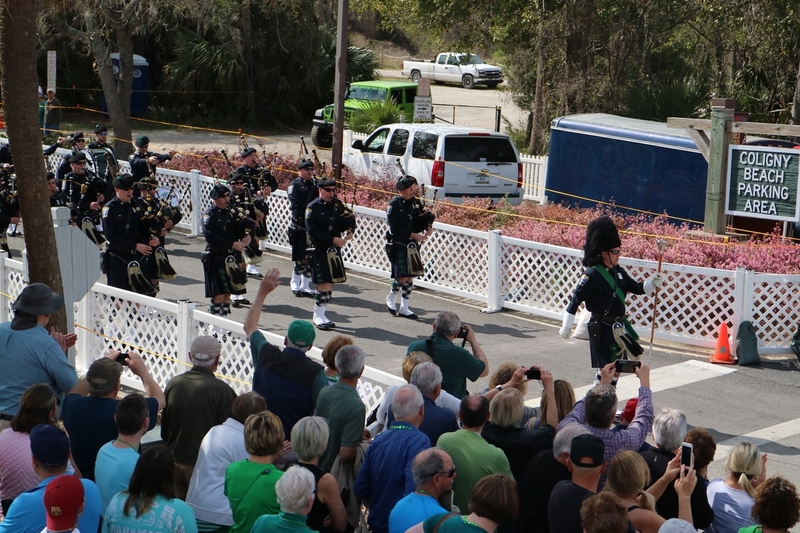 Fans cheer on the pipe band as they march through the parade! 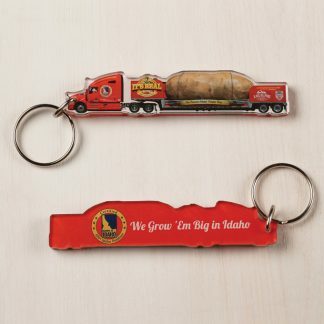 Established in 1937, the Idaho Potato Commission (IPC) is a state agency that is responsible for promoting and protecting the famous “Grown in Idaho®” seal, a federally registered trademark that assures consumers they are purchasing genuine, top-quality Idaho® potatoes. 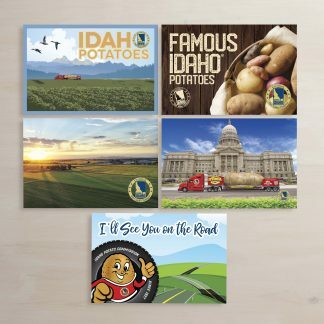 Idaho’s ideal growing conditions, including rich, volcanic soil, climate and irrigation differentiate Idaho® potatoes from potatoes grown in other states.